One of our three holiday cottages located in an old granary barn. Recently finished to a high standard, 4 star accommodation in a tranquil and relaxing area. 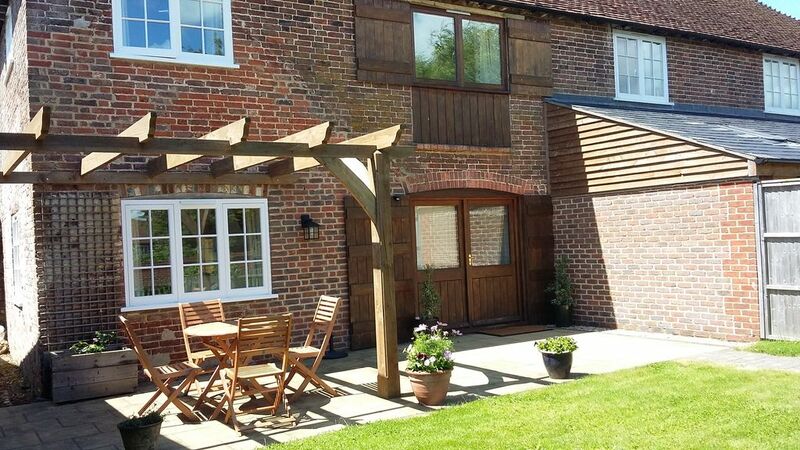 Oat cottage has two bedrooms , a double and a single. Both having en suite facilities. The kitchen is well equipped with a washing machine, dishwasher fridge and separate freezer. A luxurious large leather sofa in the lounge area, and a super dining area too. The outside space is generous , with off road frontage parking for two cars. Under floor heating downstairs, very warm and cosy in winter. Oat Cottage had everything you could possibly want. It was very well appointed, spotlessly clean and extremely comfortable. The surrounding countryside was delightful and Katie was a super host. We had a wonderful time staying there. Charming cottage, beautifully set out, a perfect holiday setting. We had a wonderful time staying at Oat Cottage. Katie and Michael were very welcoming and helful. The cottage is beautiful and has everything one needs - a home away from home!! Many thanks , and hope to see you again soon. It was a beautiful cottage with everything you need in lovely countryside. We really enjoyed our four night stay in this lovely cottage in the quiet countryside. Oat Cottage was just right for the three of us.It was spotlessly clean, comfortable, and the kitchen was very well equipped. Katie, the Owner was very friendly and helpful. We would love to stay here again when we visit East Sussex. Thank you for your comments, we appreciate them , and we hope you come back sometime and visit more of what East Sussex has to offer. We have many national trust properties close by , including Batemans , Sheffield Park , Birling gap and the clergy house Alfriston to name but a few. Many castles close by including Herstmonceux ,Bodiam castle and Battle Abbey. Brighton , Lewes , Eastbourne and Tunbridge Wells are all within a short drive. Ashdown Forest home of Winnie the Pooh , is just up the A22.